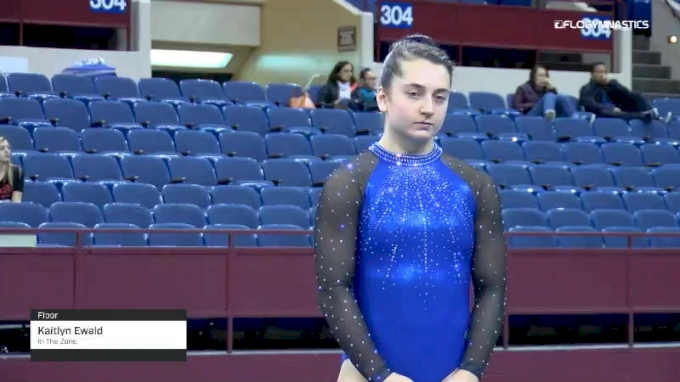 The 2019 Metroplex Challenge saw Oklahoma take another Metroplex Challenge title on the NCAA side, while JPAC's Jacey Vore put up the top all-around score of all the level 10 gymnasts with a big 38.575. 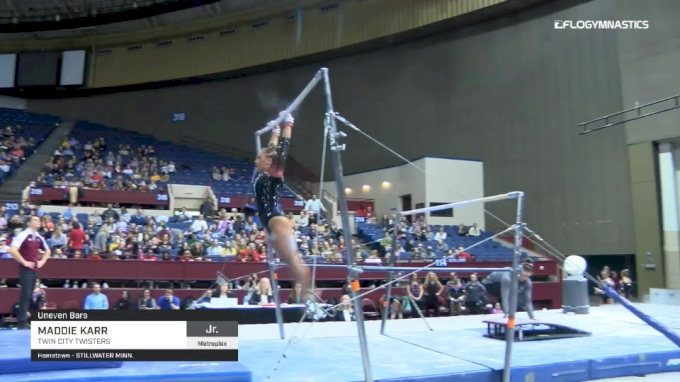 But there are routines from all over the meet that are too good to not watch again. Karr was the lone non-Sooner to take home an individual title from the NCAA meet at the Metroplex Challenge. Not only did she execute her routine almost perfectly, but she has a difficult combo of a full pirouette to Gienger to immediate overshoot. The junior Pioneer gymnast is currently ranked No. 2 on bars. Although Nichols wasn't originally slated to compete on beam since she is returning from a tweaked ankle, she ended up competing and rocking this set. 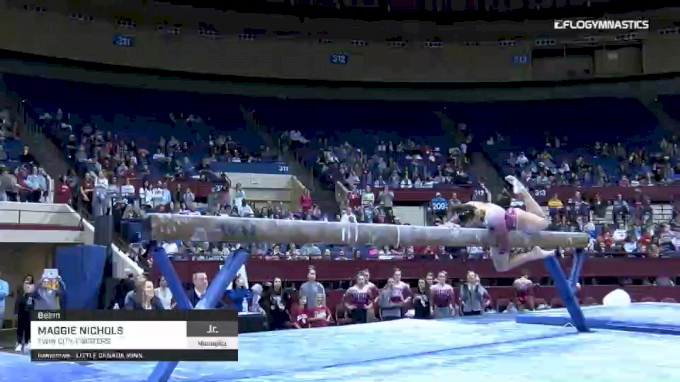 Leave it to "Swaggie Maggie" to nail a near-perfect beam routine after being a last-minute lineup change. 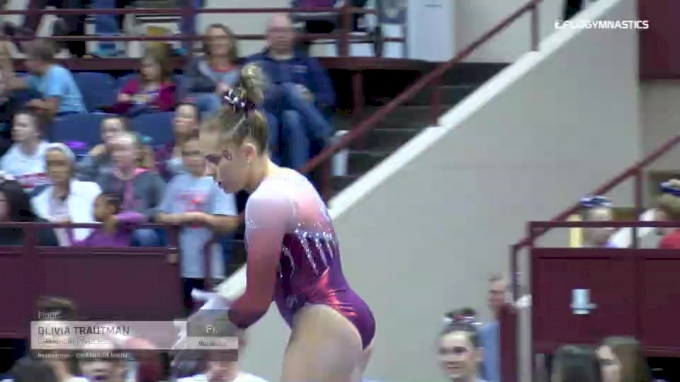 This 9.975 marked her season-high on the event where she's currently ranked No. 2. Although Trautman has competed in only a few NCAA meets so far, the freshman performs and competes like a veteran. She's the anchor in the strong Sooners lineup, demonstrating her talent and strong routine. Her routine is upbeat and dynamic, opening with a huge double layout, followed by a front layout to front full to immediate split jump, and ends with a high back double tuck. Trautman's anchor routine rounded out a trio of 9.925s the Sooners earned on floor. Vore's highest event of the meet was vault where she vaulted a clean Yurchenko 1.5. There was just a hop on the landing, but Vore got good distance and height that helped her score big and win the event. 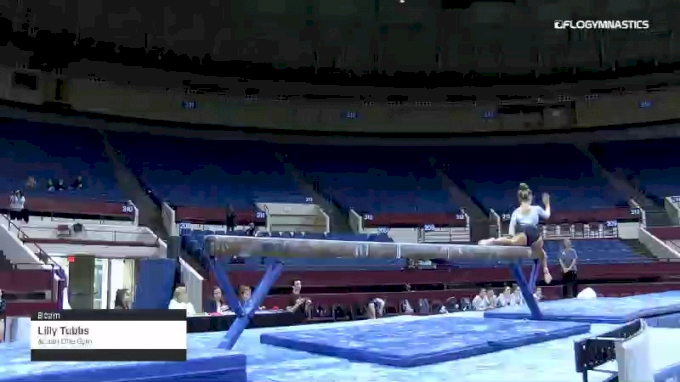 Guye has a beautiful toepoint and clean lines that really shine on bars, especially when she hits her handstands. And while a front double-tuck dismount can be difficult to do well because of the blind landing, Guye had no problem and stuck it. Tubbs' beam set is full of beautiful choreography and skills. Her toepoint is evident throughout her routine, especially on her leaps and difficult front aerial to scale. And while she wobbled on her switch split leap to tuck jump 1/1, she didn't let it affect the rest of her routine and got right back on track. Ewald's floor routine (which begins about 50 seconds into the video) is unlike any other. Her transitions and choreography before her tumbling passes are unique and acrobatic, and she does a lot of big front tumbling. This one-of-a-kind routine caught the judges' eyes and gave Ewald the event title for her session.